Hanover, 14 December 2016. 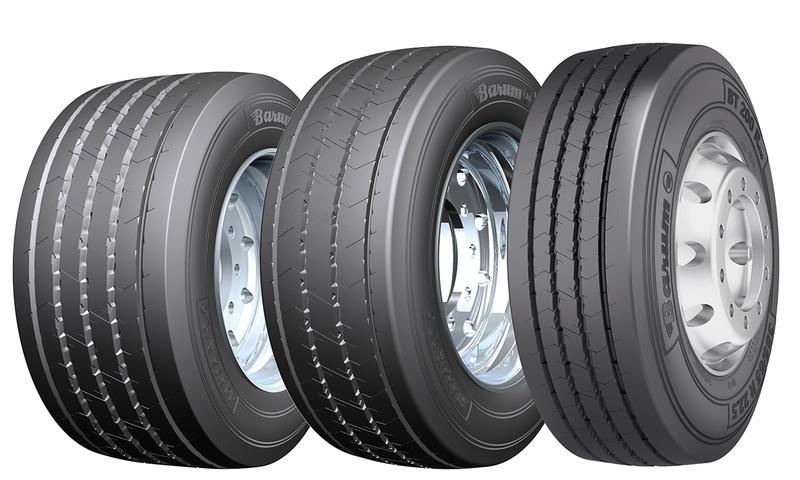 Barum is expanding its range by adding three new tyres for the trailer axle to the new 200 R-series. In the important size 385/65 R 22.5 the high-performance trailer tyre BT 200 R achieves EU label value “B” in the wet grip category. The BT 200 R in size 385/55 R 22.5 is also available as of now, as well as in the special dimension 445/45 R 19.5 for use in volume transport. The robust tyres feature high mileage and economical fuel consumption in both regional as well as long-distance transport. They offer a cost-effective alternative for lorry tyres. 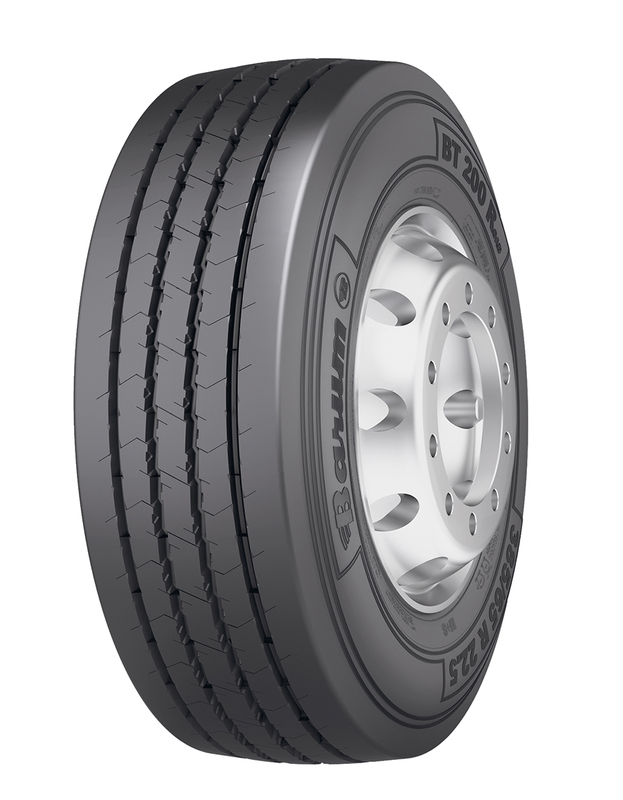 The high-performance Barum trailer tyre BT 200 R 385/65 R 22.5 is one of three new trailer tyres in the 200 R-series. With the steering and drive axle tyres of the new 200 R-series, Barum initiated the introduction of its new product line last year. This tyre family now offers three new tyres for the trailer axle. The trailer tyre BT 200 R 385/65 R 22.5 is characterised by its high robustness and flexible applicability in both regional distribution transport as well as long-distance transport on motorways. The tyre, which is also available in size 385/55 R 22.5, offers high mileage and constant driving safety, even on wet roads. With its remarkable wet performance, the tyre achieves EU label value “B” in the wet grip category in both tyre sizes. Thanks to the improved composition of the rubber compound, the BT 200 R 385/55 R 22.5 and BT 200 R 385/65 R 22.5 are also particularly resistant to cutting damage. Together with the re-designed tread of the tyre contact surface and the stable carcass, the trailer tyres are optimally built for a long tyre life. An optimised rubber compound and a new tyre contact surface tread have also been used in the third trailer tyre of the current product expansion, the BT 200 R 445/45 R 19.5. The power package beneath the trailer tyres boasts a high load capacity and optimum mileage with a low diameter, and is therefore particularly suited for use in volume transport. Despite the low diameter, the BT 200 R 445/45 R 19.5 saves on fuel while driving and thus achieves EU label value “B” in the fuel efficiency category. As with all Barum tyres from the 200 R-series, the trailer tyres are based on a robust carcass with reinforced steel cord beads, making all tyres suitable for retreading. The powerful tyres therefore support cost-efficiency across the fleet in the long term.